Sleek, Quick, and built for high performance. The 30ST will get you to the fishing grounds fast and comfortably without emptying your wallet. 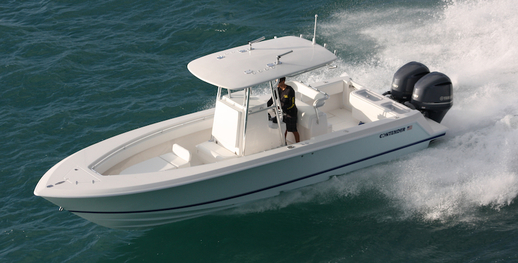 The Contender 30 ST is a twin-stepped, V-hull offshore center console designed for serious anglers. But it also has a few accommodations made to keep things comfortable. Jump aboard, as we spend a day on the 30 ST (tipped with a pair of F300 Yamaha four-stroke outboards), take it for a sea trial, and review this boat's inside and out.